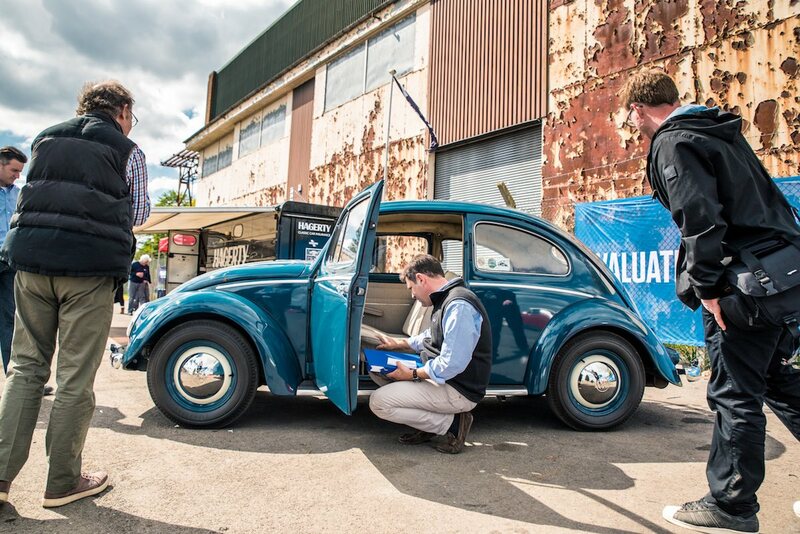 In a new feature for 2018, Hagerty is offering onsite classic car valuations at the Show, providing vehicle owners attending the event with a bespoke, four-page Hagerty Valuation Report, containing details about their classic and a condition report that will be directly related to the Hagerty Price Guide. This will be a unique report for your vehicle and can be used in any future sale or simply to add to the vehicle file. The valuations cost £15 each* and 100% of that will go to charity. Valuations can be pre-booked through our ticketing site. You don't need to be thinking of selling your classic to do this - it's a great way to get an idea of how your vehicle stands in the current market, and the condition report is an excellent addition to your car's history file. And, of course, you and your classic will be helping to raise funds for charity while you do so! Hagerty is one of the UK's leading classic car and bike insurance specialists and also the leading classic car valuation specialist. With a database that consists of hundreds of thousands of values from classified site, public auctions and private sales the Hagerty team of analysts track various indices and are some of the leading experts in this field. Visit www.hagertyinsurance.co.uk for full information on how to insure and value your classic. *Please note, as all valuation fees go to charity, they are non-refundable.